If you’re like a lot of Realtors® and homeowners, you think winter is the worsttime of year to sell a home. It’s cold, the weather can be bad, trees and yards are barren… who wants to sell a home in the winter? I’ll tell you – savvy and smart Realtors® and homeowners. Here are five reasons listing a home in the winter is brilliant. 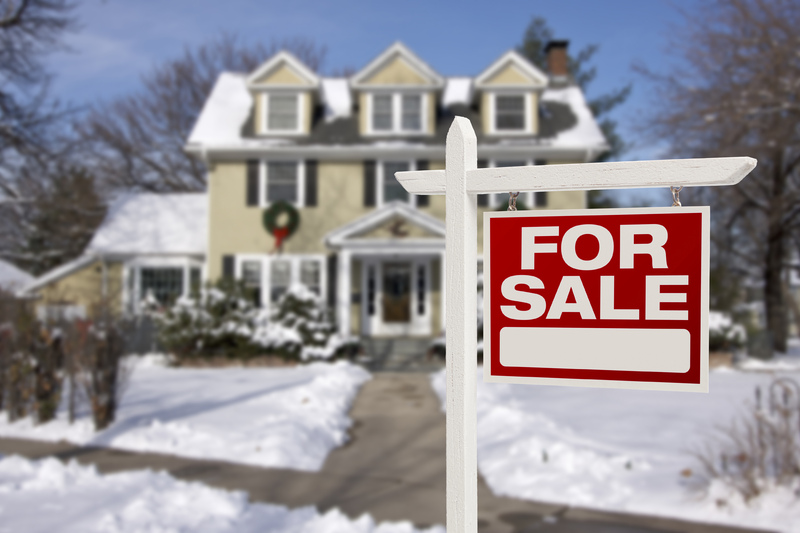 There’s less inventory available in the winter, meaning that your listing will stand out more easily. If you combine this with writing a great listing and having professional photos, your listing will be head and shoulders above the rest. Unfortunately, tire-kickers and “just for fun” looky-loos abound in the summer months. In fact, I’ve seen lists of date ideas that include “Go to an open house and look around just for a good time.” It’s ridiculous! However, in winter these thrill seekers are off doing other things – they certainly aren’t braving snowy roads and cold temperatures to pretend interest in a new home. The buyers you get in the winter time are much more serious about buying a home, and are more likely to make a decision quickly. In fact, those looking in winter may be facing an unforeseen move, such as a job relocation or family change. In those cases, they not only want to buy quickly but are more likely to pay top dollar. While summer months leave people feeling hot and wanting wide open, airy spaces, the winter months call for something different. People are looking for a festive, homey feel. As a result, it’s easier (and sometimes more fun) to stage a home in winter. You don’t have to tell homeowners to get rid of as much stuff as possible in winter. Many times, you can arrange personal belongings together into neat sets and create a comfortable feel that will help a home sell, rather than feeling like you have to make a home as barren as possible. No one enjoys having people traipsing through their home at all hours, but it’s part of the selling process. The good news is that during the winter, since there are fewer house hunters, there will be less people asking to see a home. That’s more convenient and easier for the homeowner. In addition, you’ll find that the people who do visit are more serious about buying, which means there will be fewer overall visitors before a sale is made. If someone is nervous about listing in the winter, just remind them that fewer showings and more serious buyers lead to a more convenient, faster sale. As a Realtor®, you’re not going to have as many clients in the winter compared to the spring and summer months. This can be a great benefit for your client, because you’ll be able to give more personal attention to their listing. With less of a demand on your time, you may have a chance to try an innovative new marketing method, such as making a walk-through video or connecting with other Realtors® on Instagram. This means that you’ll get experience with different marketing methods, and they’ll get even more professional attention than normal. Selling in the winter isn’t a terrible thing. In fact, research shows that homes may sell faster because buyers are more serious and are more likely to need a home quickly. There’s also less competition in inventory.